How much does SEO cost? It can vary a lot, if you are seeking to hire a professional SEO specialist, initially it may be a little perplexing. The cost of SEO is proportionate to the possible rewards. You need to plan and look around in order to find the right services in the UK that offer SEO: for £50 to £200 per hour for an expert, is it Cheap? Yes if it helps your business succeed, the worst strategies will not give you the targeted traffic. 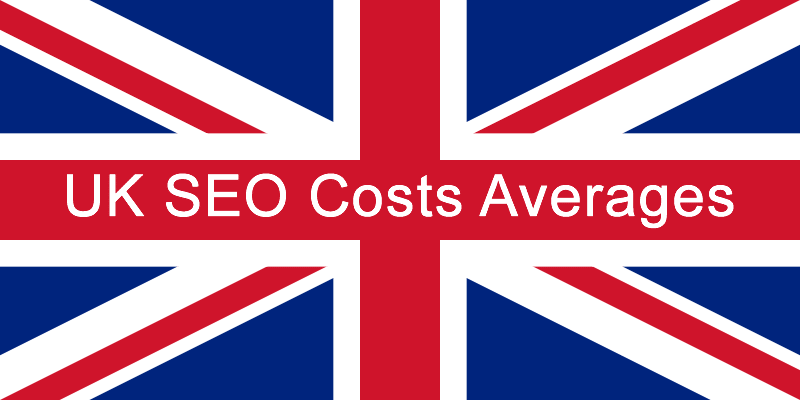 A cheap SEO company will not bring value, the worst low quality companies will not help small businesses in the UK, they will just perform poor SEO. Click Here to contact me for SEO, new site builds and e-commerce websites. When asking the question: How much does SEO cost, you need to be aware that we are referring to the price of SEO for "organic search optimisation by SEO", to better understand the question. You are investing in the long-term success of your business not £££ on PPC on AdWords. This guide is to help you understand the investment required for organic search. SEO Prices: What influences cost? how fast you want to increase rankings. looking at these three variables a company can help you estimate how much SEO should cost your business. Plenty of choice - So how much does SEO cost? It varies a lot regarding SEO prices in the UK, the typical amount to spend on SEO can be broken down in to a simple structure. The type of services offered and the averages (when calculating SEO prices in the UK) you can expect to pay for SEO services. This is including pricing for hourly (no contract) and monthly prices (the prices are not just for small businesses but give you an indication). Opinion If you are charged this, you'll get minimal SEO benefit. Think about doing it in house. For modest websites with very little competition in Google or other search engines, this is OK. Preferably, this includes some type of content promotion For large complex shopping websites, sites or if your business has a lot of online competitors, it's probably more economical to deliver results with dedicated SEO solutions. Pay by the hour - If you just need someone to guide you for a few hours every month or to review your work then paying by the hour is a cost effective way of billing. You should expect to pay an SEO professional an hourly rate starting at around £50 for an individual and up to £200 for an SEO agency. Monthly pricing plans - This is the SEO consulting model typically used by SEO agencies; you should expect to pay at around £800 - £1000 per month for someone reliable. If you are only interested in link building then you can find specific agencies that can provide a good service for around £800 a month. You have to understand that the results you can expect to obtain are directly related to your monthly SEO spend. If you are competing with a brand, or someone who is spending double on 'Search Engine Optimisation' than what you spend a month, all things being equal you are going to struggle to compete. SEO companies need to understand the industry they are promoting; a deeper knowledge will help to beat the competition. By understanding, each element of your SEO campaign it is possible to make a plan to succeed. It's best to avoid cheap SEO services that are well below the industry standard rates per month. If they don't charge much, it is likely they are ineffective or worse still a risk to your business. Pricing per project It's more difficult to price a job like this as essentially its making a prediction of monthly pricing costs. Expect a price quote for the projects monthly cost for SEO services and how many months it will take to complete the task to be provided by the SEO Company. Therefore, you will know upfront what the complete price of the job will be and this will allow you budget for monthly payments when they reach set targets. Bespoke services - For particular types of services that will help optimise your Google presence this can be one of the most affordable solutions. The main advantage is that you can choose what type of services you want, this may be the best deal if for example if you only want a one time SEO audit by a consultant. In order to understand what you are paying for you can ask the SEO firm to explain what exactly the service you requested involves and the time it takes to perform so that you know you are paying a reasonable price. Performance based (fixed rate) - Buying SEO services based on results is a good way to ensure you get a return on your investment. Pay by performance can be a good idea if you are working with a reliable and reputable company who will not put your business at risk. However, if you are paying by ranking keywords this can be risky, as they may use black-hat methods to rank your site quickly. You should think twice before you risk your website's SEO. Cheap services can damage your reputation. That's why it's best to work with a company you know you can trust. Costs, the quality of the SEO Company you work with is important, don't just focus on the price of SEO but think about your long-term return on investment, not just "how much does it cost". Don't risk your websites reputation or standing in the search engines by hiring a cheap SEO company just to save money in the short term; it may well end up costing you a lot more in the end. Don't get caught out by a cheap SEO services, pay a little extra for a great service and peace of mind instead. What keywords are being targeted? The number of keywords being targeted. How competitive the keyword is. Are you competing locally, nationally or internationally? The more phrases you want to rank for and the age of your existing online business in comparison to your competitors will determine the level of financial investment required by you to achieve higher rankings and increase visitors to your site. Therefore, to give a reliable estimate of the cost of SEO you will need to consider these points. Will you get a good ROI (return on investment)? What methods are used and are there any risks inherent in these practices to long-term success. Hi, I am Lee Mac, I'm an SEO who is able to help you modernise and improve the design of your site with my consulting services. Using SEO and advanced inbound promotional strategies. I have spent a lot of time learning on-page and off-page tactics to become one of the most sought after SEO specialists nationally. TEL: (0044) 7838165169 | EMAIL: lee@seopremo.co.uk.